This article explains how to block off Providers’ Diaries for annual leave. It is possible to create an Event or Note to block out a Provider’s schedule for annual leave, but we recommend using the Schedule which can’t be removed or moved by mistake. This will also ensure the Occupancy Report is accurate. Setting up Annual Leave for Providers is similar to creating a Schedule but with a Break covering the time away. 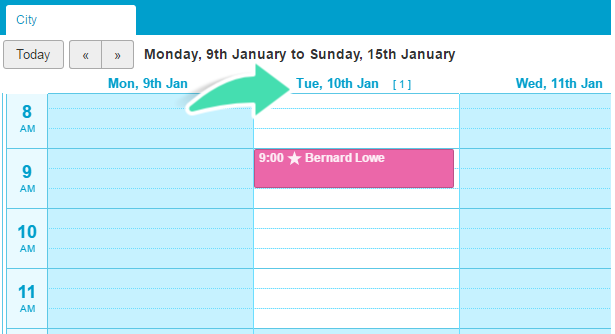 Clicking on the Name of the provider at the top of his column to open up the Schedule for this Provide (Day View). Clicking on any of the Dates at the top of the columns (Week view of the Provider). 3. Schedules that have already been set will be displayed. Make note of the earliest start time and the latest finishing time across all schedules. This will ensure that no availability during the annual leave period remains for this Provider. If the provider works across multiple Locations, a new Schedule blocking off unavailable time will need to be created for each Location. 7. Tick all the Days of the week where this Provider is usually available. 8. Set the Start Time as the earliest start time and the Finish Time as the latest finishing time of this Provider. 9. 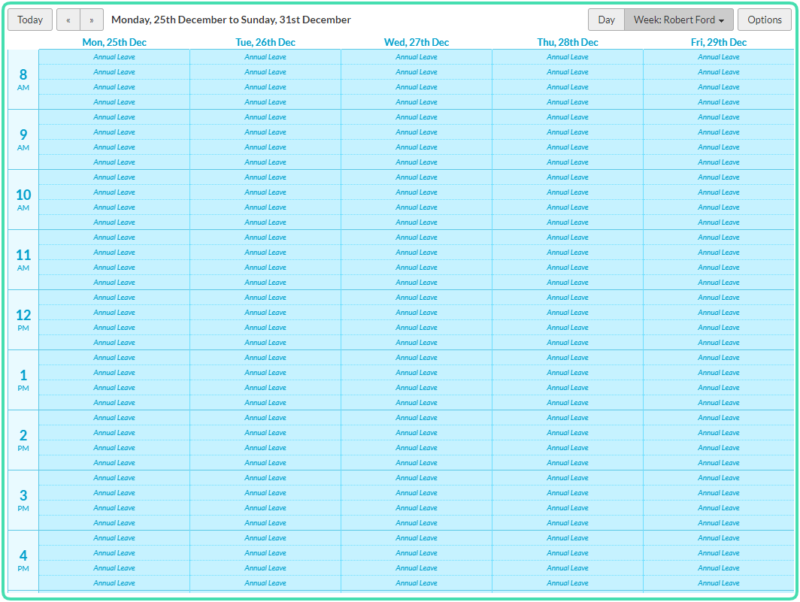 Set the From and Until dates to match the period of Annual Leave. 10. 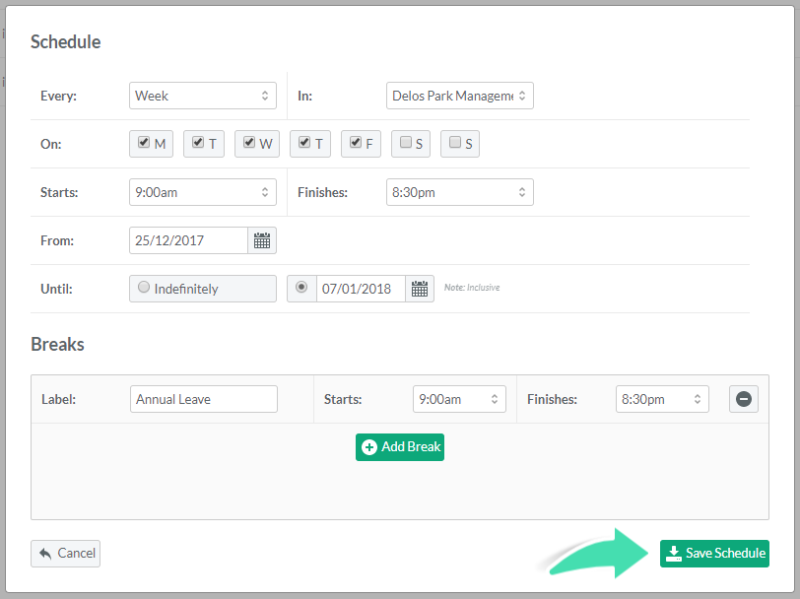 Set a Break labelled Annual Leave and set the Start and Finish time of the Break to match the start and finish time of the Schedule. 11. Click the “-” icon to delete the second break. 13. Back on the Diary, confirm that the Annual Leave Schedule is correct.